Preschoolers love Valentine’s Day (any holiday really). 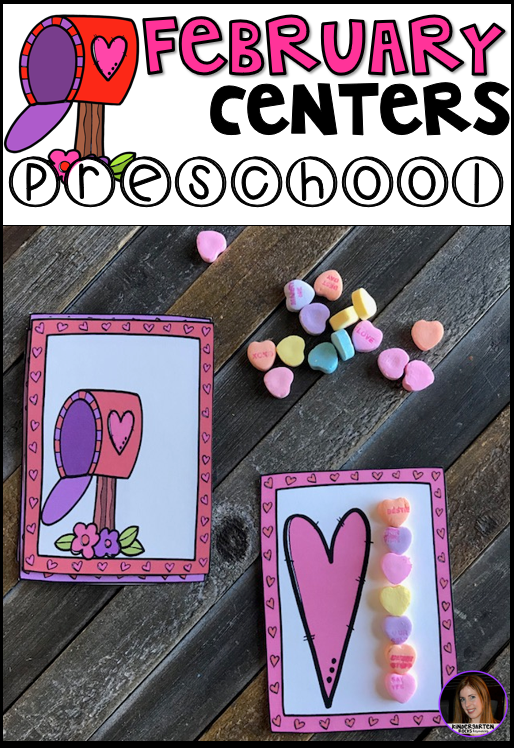 February Centers are full of the fun thematic elements of the holidays yet helps students build important skills. Each of the Preschool Math and Literacy Centers comes with 20 hands-on activities. 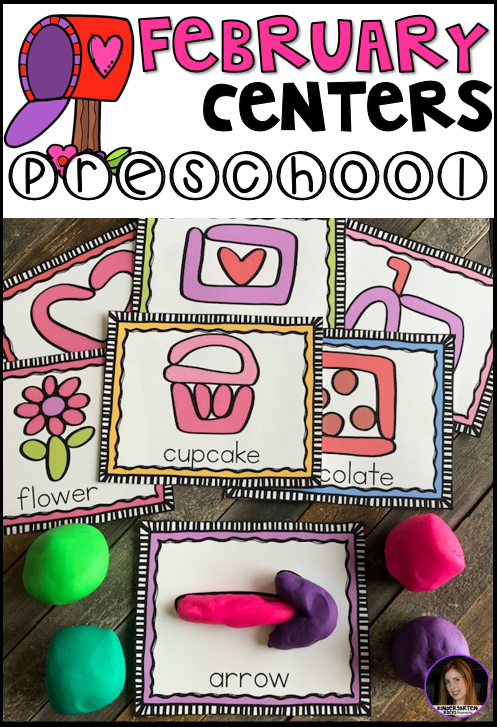 Each activity focuses on skills crucial to preschool-aged children (4-6 and mature 3 year-olds). 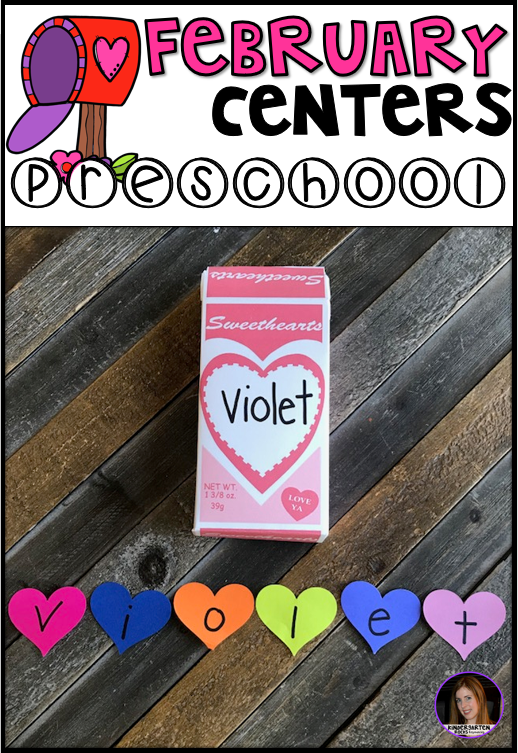 Click HERE to check out the variety. 1. Valentine Letter Match: Identify the uppercase letter on the envelope. Place the matching lowercase heart over the uppercase heart. 2. Who Has More Hearts: Roll the dice. 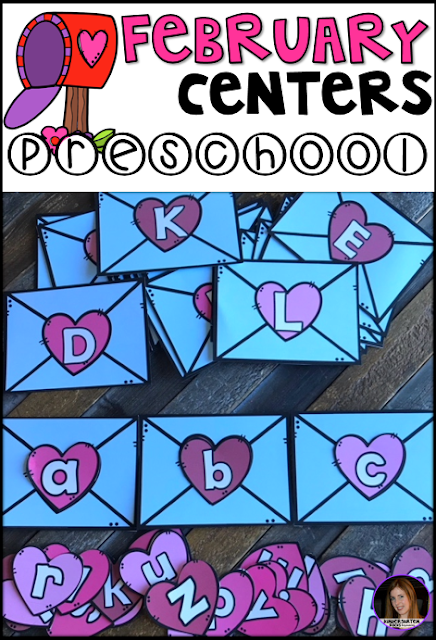 Place the candy on the candy bags. Determine who has the most candy. 3. 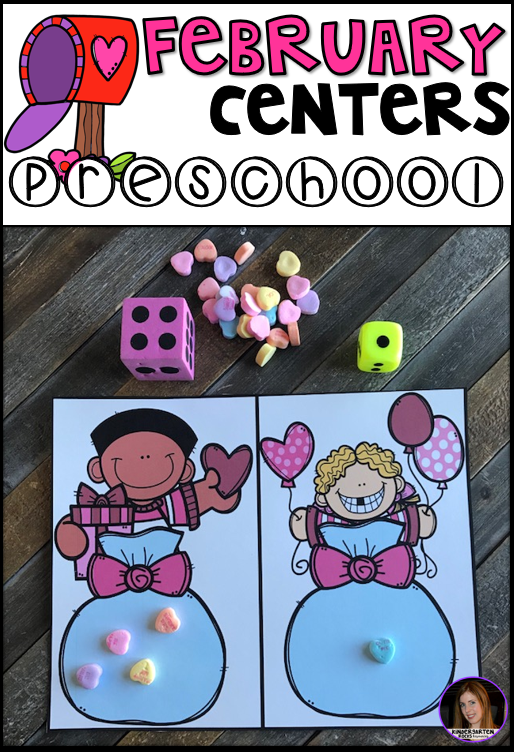 Candy Hearts Roll & Cover: Roll the dice and count the hearts. 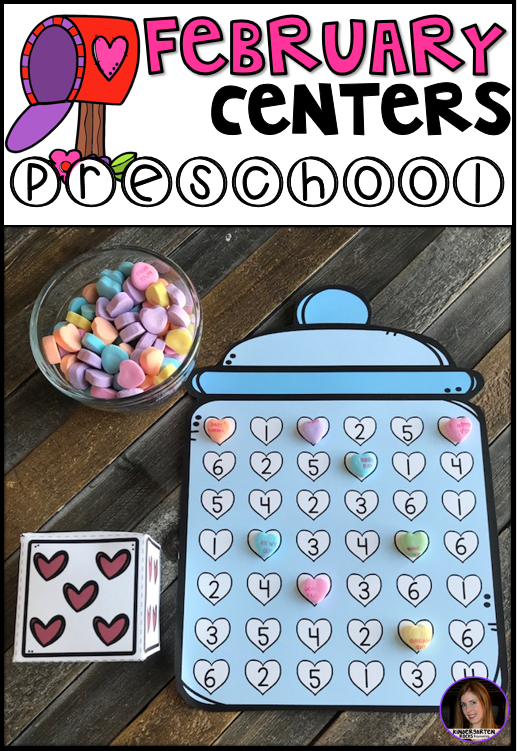 Cover the matching number with candy hearts. 4. Candy Heart Name Order: The boys and girls will build a candy heart box and practice ordering the letters in their name using paper hearts. 5. 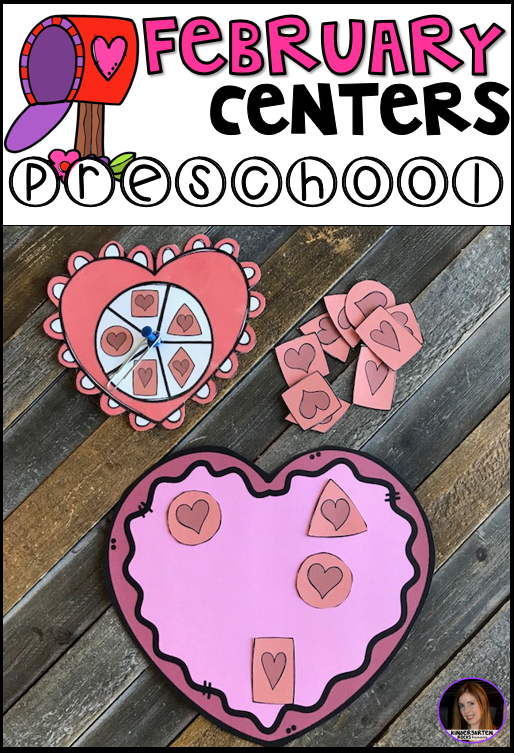 Heart Size-Up: Cut out 5 different-sized hearts. Glue them on top of each other starting with the large heart on the bottom. 6. Valentine Shape Spin: Spin the spinner and identify the shape. 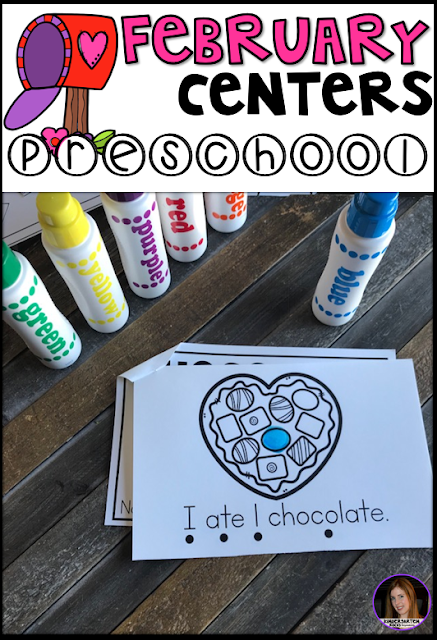 Place the matching-shaped chocolate in the chocolate box. 7. 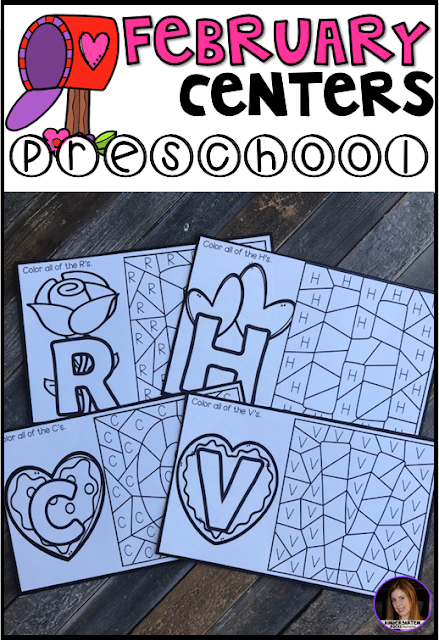 Heart Trace: Choose an uppercase letter. Trace the letter with a dry-erase marker. 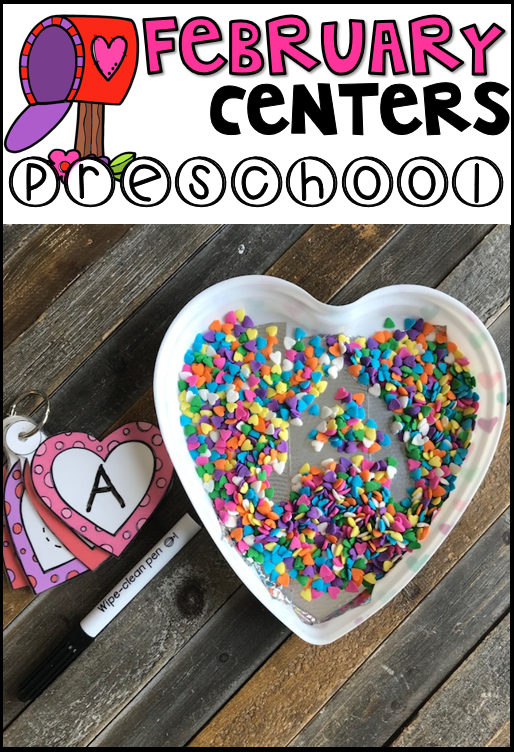 Use your finger to trace the letter in Valentine sprinkles or sand. 8. 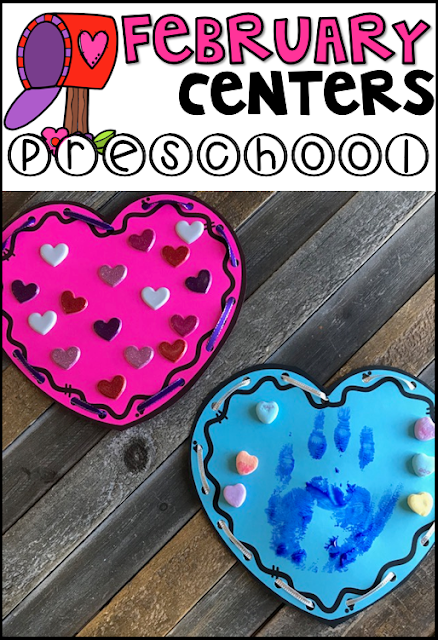 Valentine Dough Mats: Build Valentine themed objects using dough. 9. 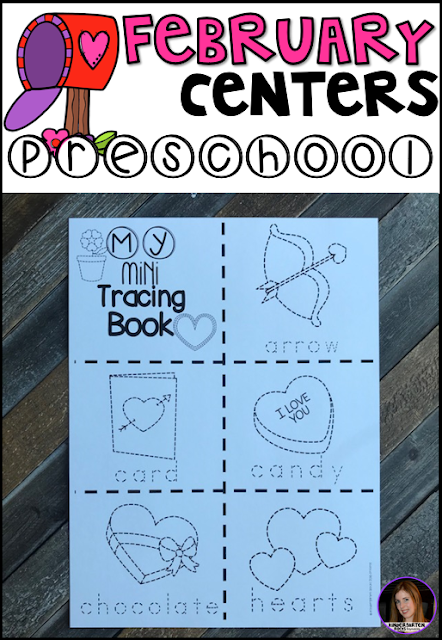 Valentine Tracing Mini: Use fine-motor skills to trace Valentine-themed figures and create a mini-book. 10. 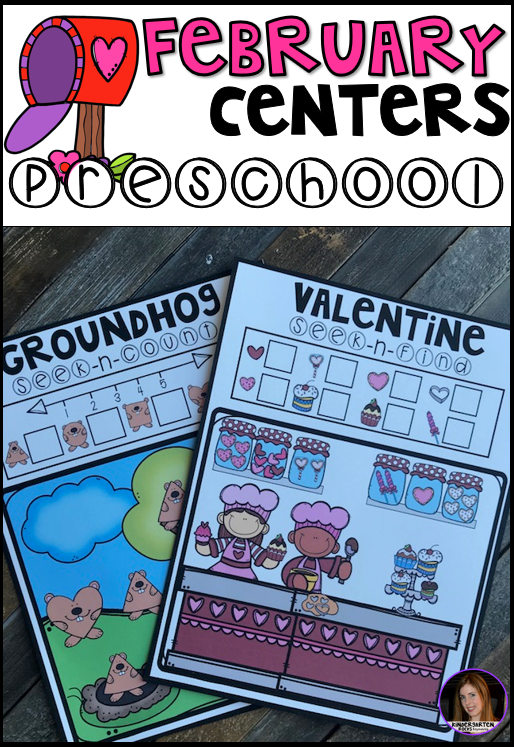 February Seek-n-Find/Count: Count the total number of groundhog shapes and seek out Valentine themed pictures in the bakery. 11. Lacing Hearts: Cut out the heart. Punch holes around the heart. 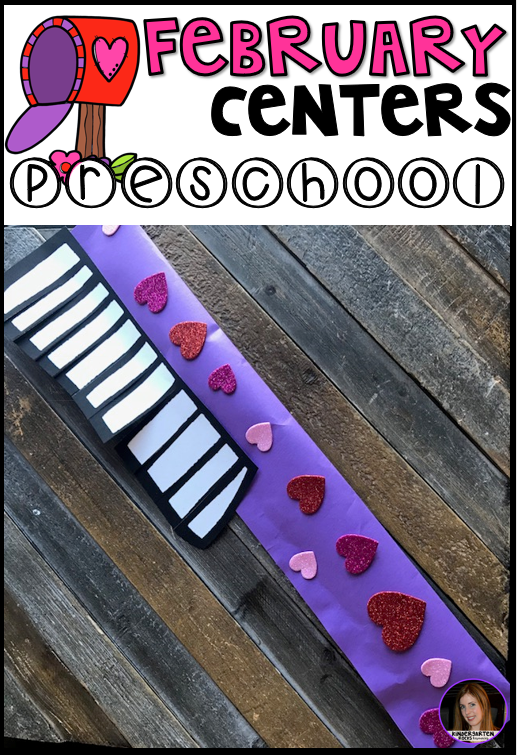 Lace ribbon through the holes and decorate. 12. February ABC Search: Color by letters to reveal the mystery letter (H: Heart, V: Valentine, R: Rose, C: Cookie). 13. 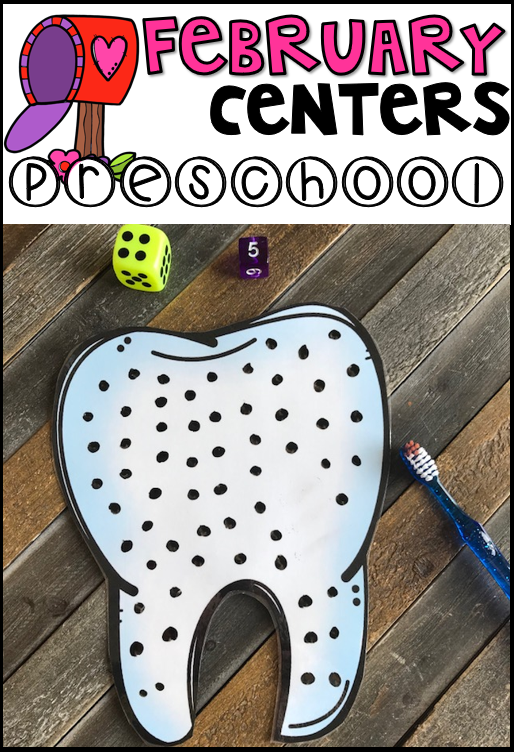 Brush Away Decay: Roll the dice and count the dots. 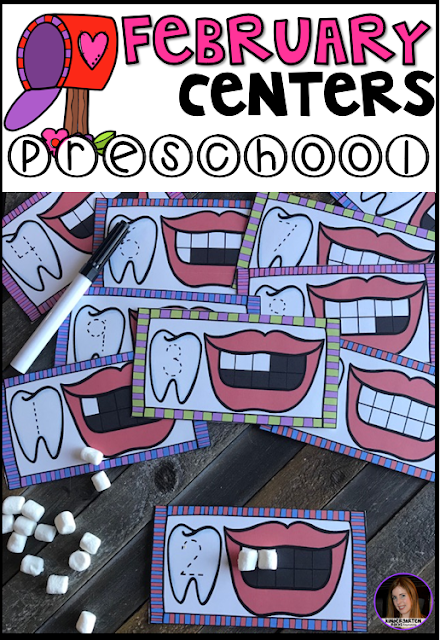 Brush away the matching number of cavities. 14. Toothy Trace and Build: Identify the number and trace it. Place the matching number of “teeth” on the mouth. 15.Toothbrush Craft: Follow the directions to build the large toothbrush. 16. 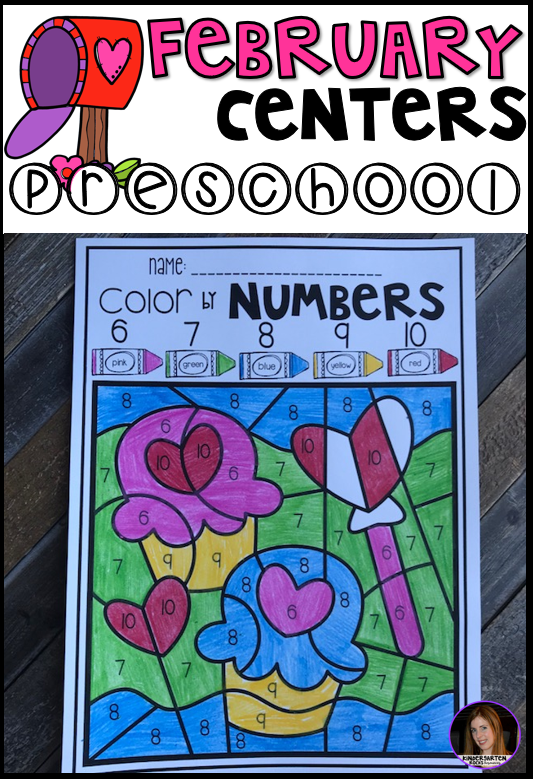 Valentine Color by Numbers: Color the by numbers. 17. 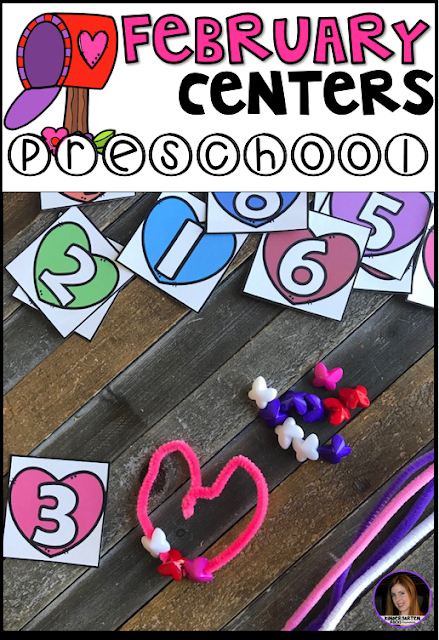 Counting Book: Read the book and identify the numbers. Dab the matching number of chocolates on each page. 18. Heart-Shaped Bead Count: The boys and girls will choose a number and place the matching number of beads on a pipe cleaner. Then, they will form the pipe cleaner into a heart shape. 19. 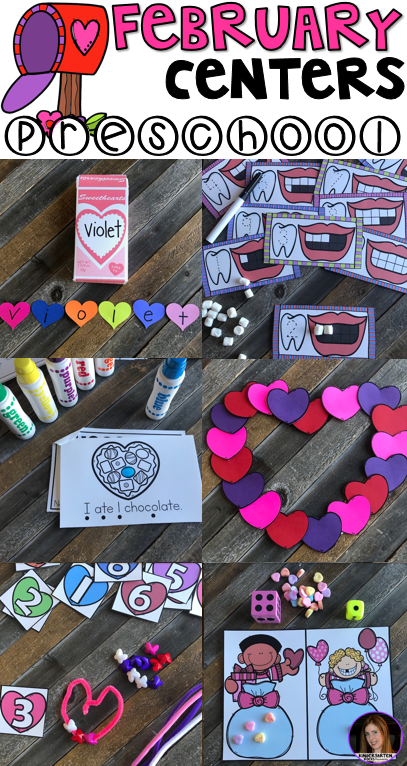 How Many Hearts Tall: Choose a card and identify the Valentine-themed item. Measure how tall each item is using candy hearts. 20. 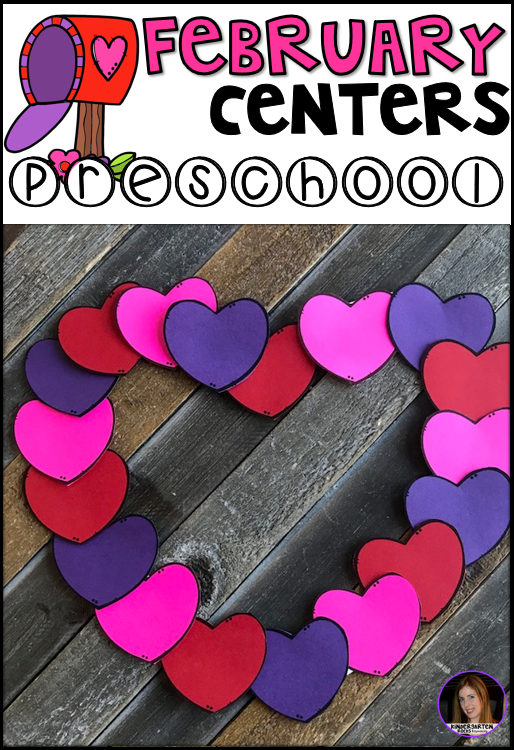 Heart Pattern Wreath: Cut out the heart wreath. 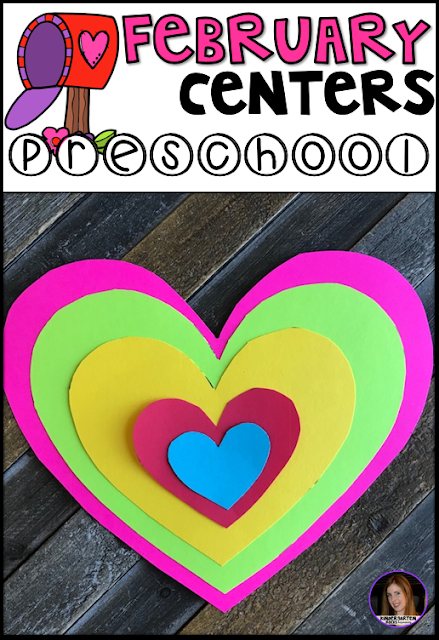 Cut out the small hearts. Glue the hearts around the wreath in a pattern.